Costa Rica: Landslide destroyed house, factory and blocked track between Paso Real and San Vito. slope works and poor water management removed 600,000 cubic meters of mass in the south. The saturation of the soil, together with inadequate buildings in the upper part of a hillside in El Sabanero neighborhood of San Vito, Coto Brus, destroyed a house, a concrete factory and partially closed the road that connects with Paso Real de Buenos Aires. Blas Sánchez, geologist of the National Emergency Commission (CNE), visited the site this week and found that some 600,000 cubic meters of material slipped. Of the situation, the Municipality of Coto Brus was alerted as well as some 17 families whose houses are at risk. Nigeria: Landslide in Cross River affects 60 houses, historical sites. Azerbaijan: Landslide in Badamdar Continues. At 9:30 on Saturday, the landslide zone, which is on the highway between the 20th Section and Badamdar settlements of the Sabail district of Baku, intensified. According to the specialists of the Ministry of Environment, as a result, a large part of the reinforcing concrete wall, which was built earlier to hold the masses of the earth, was destroyed. As a result of the landslide, a layer of land 200 meters wide, 250 meters long and 15 meters high shifted to the motorway. The landslide does not pose a threat to residential buildings yet. However, the houses located above may suffer if the landslide continues. For this reason, residents of eight houses have left them. It rises to 11 death toll due to landslide in the center of Colombia. BOGOTÁ.- The death toll from a landslide generated by a heavy downpour in the municipality of Marquetalia, in the Colombian department of Caldas (center), amounted to 11, authorities said. This was confirmed by the mayor of that town, Luis Carlos Betancourt, who said that "unfortunately the death toll amounted to 11", including several children, and said there is still one more person missing. "That figure (the number of missing persons) is to be confirmed because some people say they can be more," added the municipal chief. Seven killed in 'massive landslide' in Uganda. ‘The preliminary report indicates that the number is likely to increase from the reported seven but we are yet to establish the actual numbers,’ Uganda Red Cross spokeswoman Irene Nakasiita said in a statement. The Peace River Regional District has ordered the entire area of Old Fort evacuated, a week after a slow-moving landslide cut off the only road to the small community in northeastern B.C. — but at least one resident says some refuse to leave. In a statement, the district said the order was issued because of an “immediate danger to life” due to a slow-moving landslide that struck last Sunday about one kilometre away from the main part of the community, which has about 30 homes and about 200 residents. The community is about a 15-minute drive south of Fort St. John, flanked by large hills in a valley running alongside the Peace River. 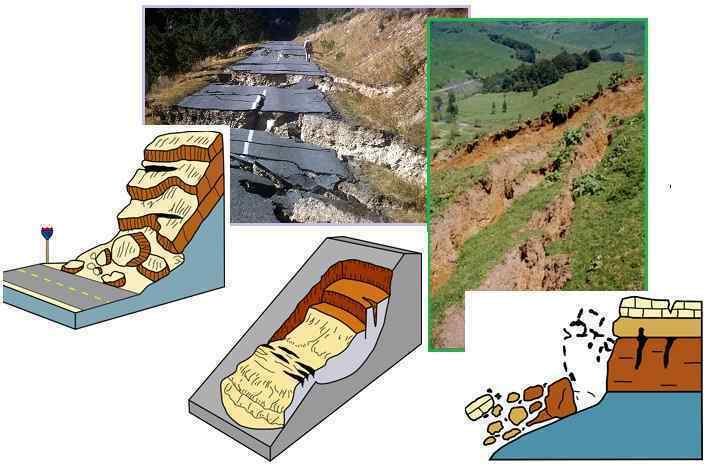 Landslides are common in the area. This landslide has wiped out the only road leading in and out of Old Fort, about one kilometre away from the homes, and the Peace River District says there now appears to be some instability in the part of the hill directly behind the homes as the slide continues to slowly shift. The district has issued previous evacuation orders and alerts to a number of properties throughout the week. Resident Gord Pardy says power to the community has been on and off throughout the week as the slide has shifted and crews have attempted to restore services. “I’m very angry. I’m extremely angry. And it’s because we’ve been living through this process where it seems like nobody is in control of the situation,” Pardy said. Boat taxis and buses will be transporting evacuees along the Peace River and then by bus to a reception centre at the Pomeroy Sport Centre in Fort St. John, just north of Old Fort. The district says domestic animals — including dogs, cats, rabbits, gerbils and fish — will be allowed on the boat taxis and buses if they are caged or on a leash. That’s not of much help to Pardy and his wife, Bobbi, who own a 32-year-old horse they don’t expect would survive the journey. “We’re going to fight for it,” Bobbi Pardy said. The district said residents should not return home until the order is rescinded. But Gord Pardy said he is one of many residents who have no intention of leaving. Pardy doesn’t deny the slide is a big deal — but he doesn’t think his home is at any risk because the slide is moving so slowly and he says it doesn’t appear to be affecting the area directly behind his home. “I don’t think it’s going to get to my home. I’m worried about some of the homes that are on the edge of the community more than mine,” he said. Pardy says he’s also worried about keeping his home warm and safe. Temperatures have been dipping well below zero at night, he said, and it snowed Saturday night. “My house will freeze. I’ve got to keep the heat on in the house,” he said. But a spokesperson for the regional district said staying put is a risky plan. “We have an engineering geologist who has looked at the site and cannot guarantee life safety,” said Deborah Jones-Middleton, emergency operation centre director for the Peace River Regional District. The landslide has been ripping up the earth near the small town since Sept. 30, knocking out heat, power and water for residents. The district said a helicopter survey of the area found evidence of stress cracks and other signs of instability throughout the area. It’s also posed a risk for crews, who aren’t able to access the area, the district said. Ukraine: On the coast near Odessa there was a large-scale landslide. Today, a large-scale landslide occurred in the village of Sanzhiyka. This was reported in the Ovidiopol district administration. 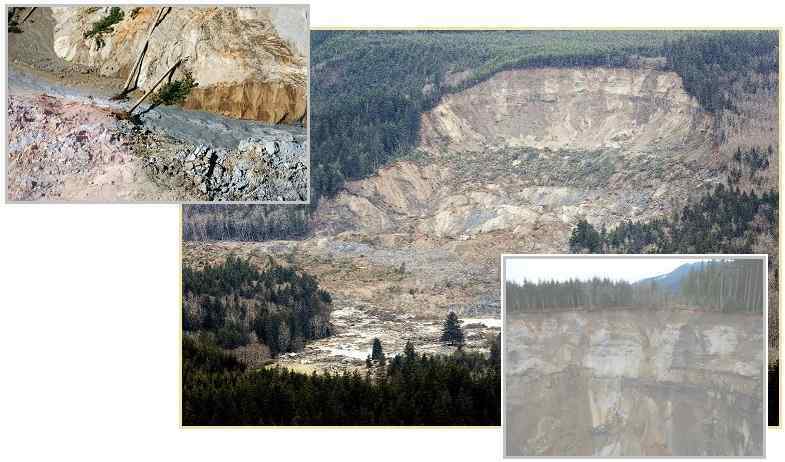 According to their information, the total length of the landslide is about one kilometer. As noted in the district administration, this displacement of the soil “so far” does not pose a danger to residential buildings. "Profile specialists will study the territory in more detail, after which they will give the appropriate conclusions," the RGA specified. At the moment, the question of the designation and protection of dangerous places. Recall that in the summer of this year near the village Sychavka and the city of Yuzhny also occurred several landslides. Canada: Landslide traps small community in northern B.C. A landslide has damaged the only road that provides access in and out of a small community of about 30 homes near the northeastern B.C. town of Fort St. John. "The slide's still moving ... it's slow and taking its time," Hafner said. "There's nothing we can do while it's still moving." Philippines: Massive landslide buries 24 homes in Cebu. A large landslide buried between 20 and 24 homes near a limestone quarry site on the fringes of Naga City of Cebu Province in the central Philippines early September 20, 2018. Most of the residents were still asleep when the slide took place. 12 bodies have been retrieved and another 12 people pulled out alive in the first few hours. Rescuers are looking for about 50 to 80 trapped people. The slide was caused by days of heavy monsoon rains and comes just several days after passage of Super Typhoon "Mangkhut," the most powerful storm of the year so far, and another massive landslide that left dozens dead. Although Naga City didn't take a direct hit from the typhoon, the storm system exacerbated monsoon rains and the city received plenty of water over the past couple of days. About 20 to 24 houses with all the people inside were buried, officials said, adding that rescuers were looking for about 50 to 80 people. "Even four-story houses were buried," one of the witnesses told Rappler.